Thanks to the prolific Weinstein Company and Sony Pictures, there’s a bright spot in our snowy, slushy cabin-fever winter of 2014. 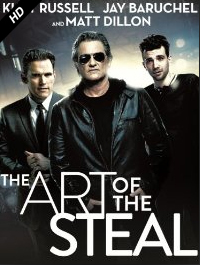 It’s the indie film The Art of the Steal, now offered on Amazon Digital and maybe also by your local cable provider before it hits theaters in March. The Guru gives it two thumbs up! did we mention the whole motorcycle thing? Crunch Calhoun (Kurt Russell), an aging, third-rate motorcycle daredevil and semi-reformed art thief, agrees to get back into the con game and pull off one final lucrative art theft with his untrustworthy brother, Nicky (Matt Dillon). 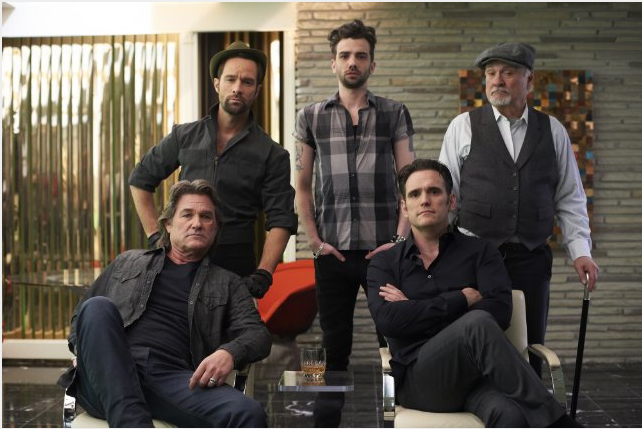 He re-assembles his old team, which includes stellar turns by Terence Stamp as the mastermind emeritus of the group, Jay Barouchel as the apprentice, and the hilarious Chris Diamontopolous (of Showtime’s Episodes) as a French art forger. Crunch comes up with a plan to steal a priceless historical book, supposedly the second book to come off the printing press that changed history, Johannes Gutenberg’s amazing invention that changed the world: the moveable type press. For print-lovers such as ourselves, to have a film based on Gutenberg’s work instead of something like the Crown Jewels or the Mona Lisa is super-satisfying. In fact there’s a line the film about this being “the Mona Lisa of books.” Woo-hoo! It is estimated that before Gutenberg printed his Bible, there were around 30,000 books in all of Europe. 50 years later there were around 10 to 12 million. Although he did not ever get rich, it could be said that from the standpoint of moving information and communication forward, Gutenberg was the Steve Jobs/BillGates/Mark Zuckerberg of his era.